Dr. Gibson graduated from Tufts School of Dental Medicine in Boston. She was a Merit Scholar who received “Excellence Awards” in operative dentistry and prosthodontics. Dr. Gibson also served as a clinical instructor at Tufts’ Department of Restorative Dentistry. 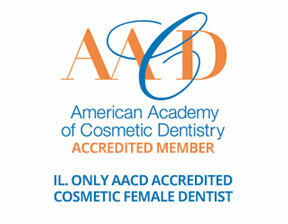 Her continuing education courses encompass all aspects of dental care, with a focus on cosmetic dentistry. 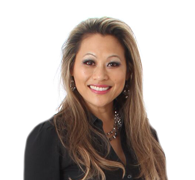 She completed advanced aesthetic dentistry training at The Center For Esthetic Excellence in Chicago and graduated with honors from The Hornbrook Center for Advanced Clinical Education, an achievement obtained by 1% of dentists nationwide. 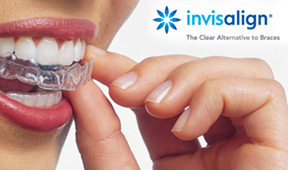 Dr. Gibson is also Invisalign certified. She writes a bi-weekly column entitled "Open Wide" for the Naperville Sun Times and has been published in leading dental magazines. Dr. Gibson is in demand as a speaker and has lectured at the Chicago Dental Society, California Dental Society, and the American Dental Association's scientific sessions. In 1998 Dr. Gibson received the honorary title of “Official Dentist of Miss Universe” by CBS-TV. In a press release they stated, “Dr. Gibson possess a dedication to the profession…and that ability to create that perfect smile. ” Dr. Gibson is a former Washington’s Junior Miss, Miss Washington USA, and Mrs. United States 2005-2006, and has garnered attention from numerous high-profile and celebrity clients. Dr. Gibson was featured on the cover of the American Association of Women Dentists Magazine because of her outstanding accomplishments in pioneering women in dentistry. She was also featured on the April 2016 cover of dentistry’s largest circulated magazine, Dentistry Today, again for numerous accomplishments in the industry. Tri-Delta Sorority honored Dr. Gibson as 1 of only 66 “Distinguished Delta Alumni” in its 108-year history, joining Katie Couric, Senator Elizabeth Dole, Dixie Carter Catherine Crier, Deborah Norville, and Molly Simms. Dr. Gibson is married to Emmy Award-winning TV host and business entrepreneur Jim Gibson, Dr. Gibson and her husband reside in Sugar Grove with their son, James III.